With a new month, comes some exciting new products, and so today I am featuring some fantastic vegetarian finds. Some are new, and others have been around for a while. So feel free to grab a cup of tea and take a look at these delicious vegetarian finds! Pudology is a fantastic new dairy and gluten free range of desserts, perfect for those who follow an alternative diet. These scrumptious pots of desserts come in a whole host of flavours. We were sent three different flavours to sample - Chocolate Pud, Chocolate Orange Pud and Banoffee Pud. I cannot believe that these puds are free-from everything and even Vegan. They really do taste absolutely delicious. Whilst I loved the Banoffee Pud, the Chocolate Orange Pud was a clear winner as the flavour was so intense, rich and delicious. 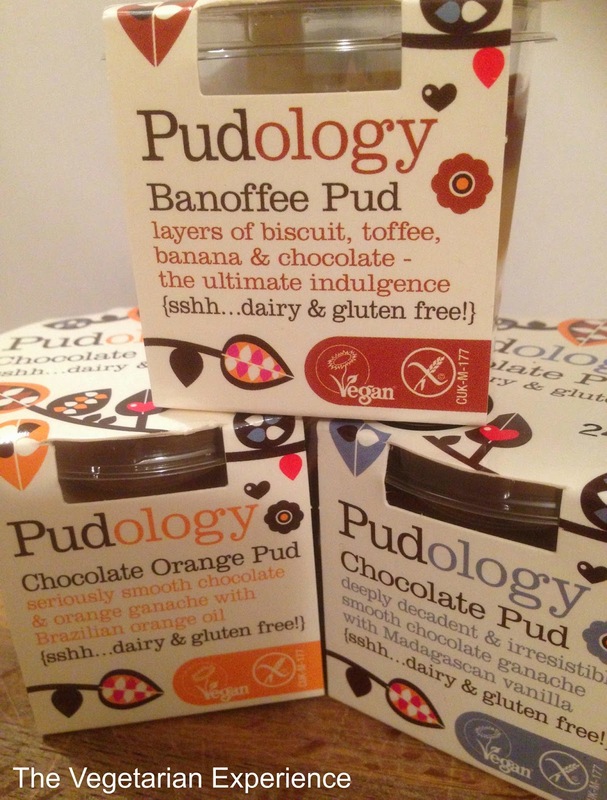 Pudology are available from Sainsburys and other stockists - £1.99 for one or £3.45 for two. 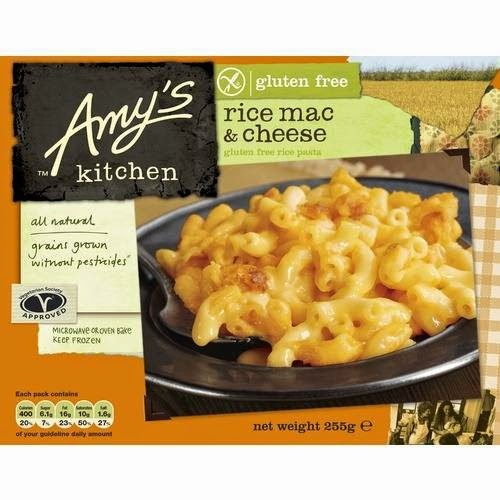 Amy's Kitchen Macaroni Cheese is a great tea time snack as it contains no nasties, and it is also gluten free. My youngest has developed a "penchant" for Macaroni Cheese and so this Macaroni Cheese from Amy's Kitchen is a great way to guarantee that she is receiving something she likes which is healthy, rather than the kind which comes from a tin and has lots of additives and preservatives in. Amy's products are available from all major supermarkets and are a great tea-time meal for kids and adults alike. 9Bar Breakfast Bars are perfect for a grab and go breakfast in the morning, and let's face it, grab and go is typically the extent of my breakfast offerings each morning when I am on the school run, rushing to a meeting, or finding it hard enough to make sure I have two of the same shoes on let alone consider making breakfast (hurrah for schools breakfast club). These new breakfast bars are a fantastic healthy idea from "9bar", as they provide on-the-go breakfast nutrition for those of us who often skip the most important meal of the day. The bars are available in four flavours - Almond and Raspberry, Cashew and Cocoa, Apricot and Raisin, and Peanut and Strawberry. Packed with seeds, chewy oats, puffed brown rice and protein-packed soya, these yummy bars are a great choice for the morning, to stop those mid-morning hunger blues. Made by the Wholebake brand, the makers of 9bar started life as a vegetarian bakery supplier, but now concentrates solely on producing flapjack and snack bars. 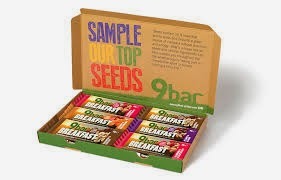 9bar Breakfast bars are available from all major supermarkets and Health food shops and a variety of places. We tried all four flavours, but liked the almond and raspberry the best. I would definitely recommend trying these as they are delicious, nutritious, and did leave me feeling full in the morning. 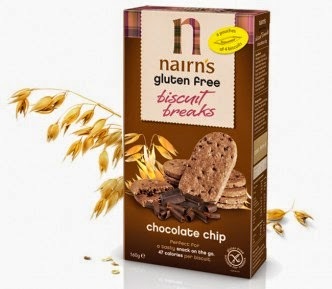 Nairns Chocolate Chip Biscuit Breaks are a Gluten Free Biscuit which have the same texture, taste and crunch as regular biscuits, whilst still containing the goodness of wholegrain oats. They are fab as they come packed in packs of four, so you can just grab a packet for after school activities or similar. We used them for after swimming and ballet lessons, and I also used them to take to a meeting. I liked that they tasted really delicious, but contained only 47 calories per biscuit. The appearance may not be very appetising, but looks can be deceiving as these are definitely worth a bite. Whilst sometimes it can be tempting to sit and eat a whole packet of biscuits, or to keep "biscuit dipping", I like that these biscuits are portioned out to prevent you from doing so. They come in handy pouch packs so are easy to pop in your bag for a mid-morning or afternoon snack on the go. or, you can enjoy them as the perfect accompaniment to a tea or coffee break. Nairns Biscuits are available from a variety of places. We also received some Manic Organic Juices from James White fine pressed Juices. Manic Organic Juices are made from 100% pressed juices. The range includes organic fruit and vegetables with no concentrates, flavourings, sweeteners or preservatives. The juices are also soil association organic certified. We received four flavours - Pear and Ginger, Orange and Carrot, Apple and Cherry, and Pineapple and Lime. Hubby, the kids and I all got involved in trying them and deciding which ones out favourites were. The kids loved the Apple and Cherry. Hubby loved the Orange and Carrot, and my personal favourite was the Pineapple and Lime, with the Pear and Ginger a lose second. These juices are a great refreshing drink for the summer, but I could also imagine myself reaching for them in the winter for some extra vitamins once the coughs and colds season arrive! The range comes in 25cl recyclable PET bottles, which are also fab for reusing. 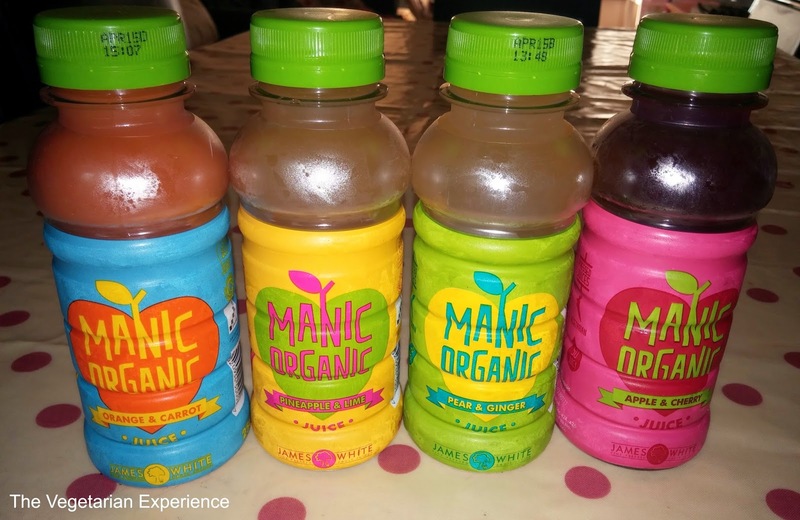 Manic Organic Juices are available online and from various cafes and independent retailers, with a RRP of about £1.50 per bottle. Clearspring Organic Fruit on the Go is a new range of tasty fruit puree squeezies, which are a great on-the-go snack for kids and adults alike. We were sent three flavours to sample - Apple and Mango, Pear and Apple and Blueberry. Made using organic ripe fruit, these purees also contain no concentrates, sweeteners or preservatives. They also provide one of those all important five a day. They are organic, vegan, and wheat and nut free. Fruit on the Go is very versatile and can be eaten on it's own, or used as a topping for desserts. They can also be frozen. I have also found some fantastic uses for them too. Firstly, they are great as an after school snack for the kids. Secondly. I have found that they are a great snack for me when I am working as a Doula and just need a quick snack which is mess and fuss free and doesn't smell too overpowering so I don't upset the labouring woman. I took one of these along with me to a birth recently and it was a lifesaver, so I am going to ensure it is in my doula bag from now on - for me, and also for the mum in case she gets hungry too!! Clearspring Organic Fruit on the Go purees are available in independent health food stores and online with an rrp of 89p. 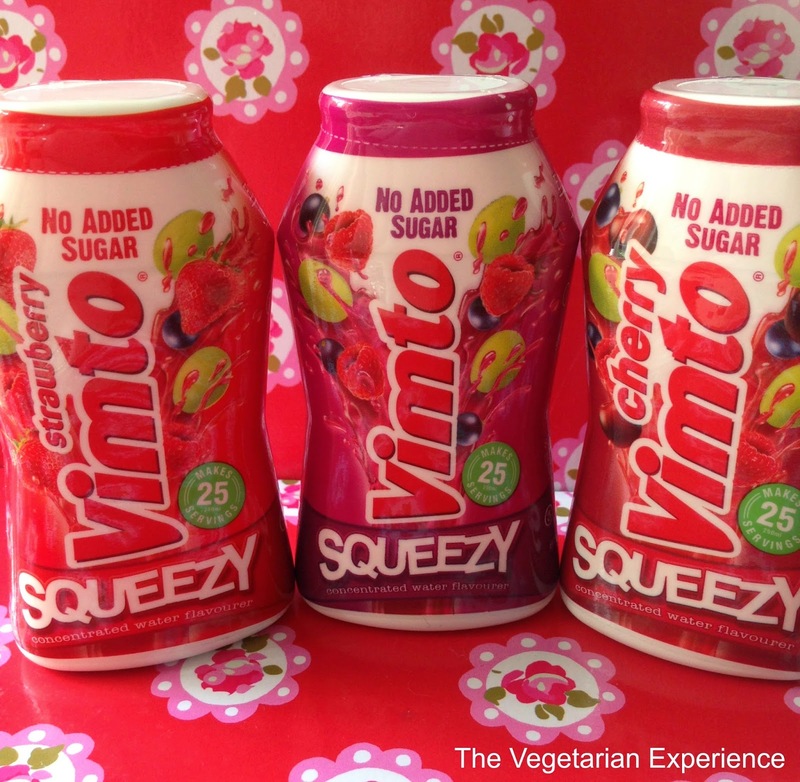 Vimto, the multi fruit soft drink brand, have recently introduced a new range of "water enhancers" which come in a small, portable squeezy bottle, and can be used anytime and anywhere - great for rehydration whilst travelling out and about with the kids during the summer. My youngest especially doesn't hugely "do" water, so adding a little drop of these has meant that she has been happy to drink more water recently. Flavours come in original, cherry or strawberry flavours, and you can mix and match depending on your mood! These small squeezy bottles contain twenty five servings each, and are a great alternative to other soft drinks because they contain no added sugar and so have almost zero calories. The suggested portion is 0.8ml (about a teaspoon) per 100ml of water. A small 50ml bottle cost £2.49 for 25 servings and is available from Tesco, Co-Op and Asda stores throughout the UK. 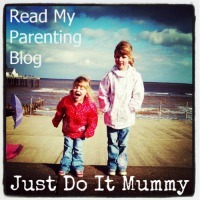 Well I hope you enjoyed reading about these new products - have you tried any of them? What did you think?